The greatest part about being on a low-carb diet? Eating all the cheese you want. Everything should be in moderation (of course), but it's easier to give up bread and pasta if it means you still get to eat cheese. The best way to deliver that cheesy treat is with the recipe below. Cauliflower seamlessly substitutes for pizza crust, and when you cut the "pizza" into rectangular cubes they look just like breadsticks. If you want to save time, buy pre-riced cauliflower at the grocery store. (You probably will overpay for that convenience.) It really isn't difficult to steam the cauliflower; just make sure you wring out all the excess moisture. Otherwise, the dough will be too moist and it won't bake properly. 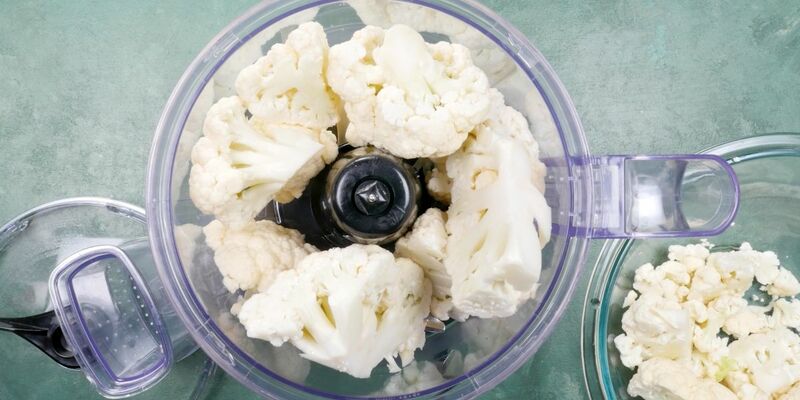 Put the cauliflower in a food processor and pulse until it resembles grains of rice. Steam the cauliflower rice in a steamer basket for 5 minutes, until it becomes tender. Transfer the cauliflower to a tea towel and wring it out until no excess moisture remains. Place the cauliflower in a large bowl and allow it to cool. Add the eggs, 1/4 cup of the cheese, oregano, salt and pepper. Stir well to combine. Line a baking sheet with parchment paper and transfer the dough to the middle of the sheet. Using a rubber spatula, spread out the dough into a large rectangle about 1/4 inch thick. Bake for 20 minutes before adding the remaining 3/4 cup of Monterey jack and the 1/2 cup of mozzarella cheese. Bake for an additional 10 minutes, until the cheese melts. 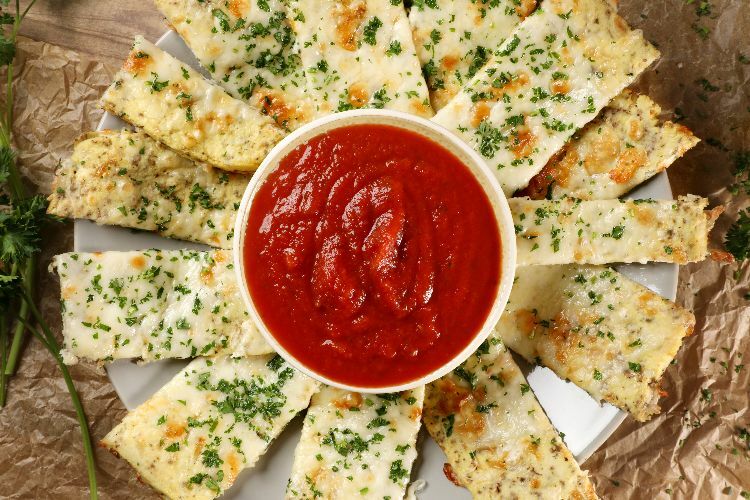 Cut the rectangle into thin breadsticks and garnish with chopped parsley. Serve with marinara on the side.